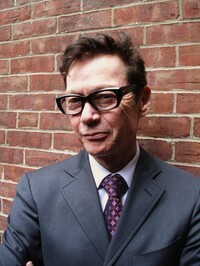 Jack Gantos is an American author of children's books renowned for his portrayal of fictional Joey Pigza, a boy with ADHD, and many other well known characters such as Rotten Ralph, Jack Henry, Jack Gantos (memoirs) and others. Gantos has won a number of awards, including the Newbery, the Newbery Honor, the Scott O'Dell Award, the Printz Honor, and the Sibert Honor from the American Library Association, and he has been a finalist for the National Book Award. Gantos was born in Mount Pleasant, Pennsylvania to son of construction superintendent John Gantos and banker Elizabeth (Weaver) Gantos. The seeds for Jack Gantos' writing career were planted in sixth grade, when he read his sister's diary and decided he could write better than she could. Jack Gantos is an American author of children's books renowned for his portrayal of fictional Joey Pigza, a boy with ADHD, and many other well known characters such as Rotten Ralph, Jack Henry, Jack Gantos (memoirs) and others. Gantos has won a number of awards, including the Newbery, the Newbery Honor, the Scott O'Dell Award, the Printz Honor, and the Sibert Honor from the American Library Association, and he has been a finalist for the National Book Award. Jack Gantos is currently not accepting new questions. We’d love your help. Let us know what’s wrong with this preview of The Trouble in Me by Jack Gantos. ― Jack Gantos, What Would Joey Do?